**Andrew Gabbard appears courtesy of Buffalo Killers on tracks 1 and 9. **Roger Joseph Manning Jr. (Jellyfish, Imperial Drag, Moog Cookbook and BECK) appears on tracks 4 and 8. 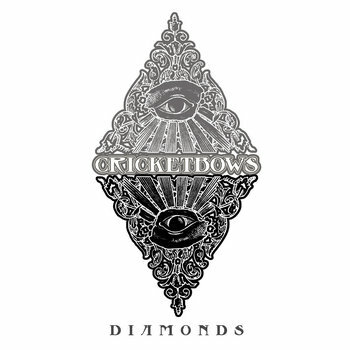 "One-time Jackalopes singer Rev Chad Wells took a hard left turn from his punk and hard rock roots in 2010 when he released the psych-rock album, Home, under the moniker Cricketbows. The homemade prog-rock draws equally from folky Roky Erickson/Syd Barrett-style acid-casualty songs and extended Krautrock-esque epics and is a far cry from The Jackalopes’ Misfits-inspired sound." "It’s fantastic. Full of guitar riffs that sound far away yet keep my attention directly on them, vocals that fit in extremely well with the dimension-bendingly futuristic sound. It’s just an impressive album that allows you to let your body go limp and sway with the music, as it will capture you in its creativity. 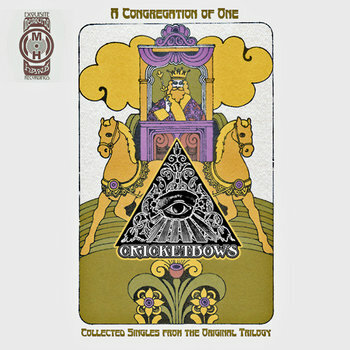 I can’t wait to hear more from Cricketbows and Mycocosmic Transmission is great." "With the spaceship firmly rooted in the bearded feedback of most of the 70s, Ohio Son Rev. 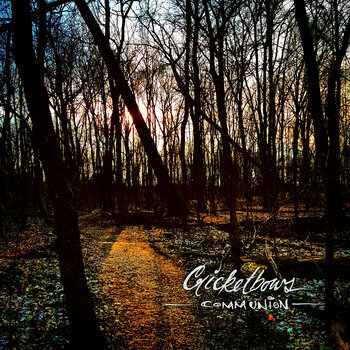 Chad Wells offers even us a needed dose of psychedelic punk blues." "Okay for a more challenging listen, we have the acid drenched trip presented by head guru Rev. Dr. Chad Wells (celebrated Tattoo Artist and lead droog in the legendary punk band The Jackalopes) – do not listen to this while operating heavy machinery!" "LID" is the third album in the Cricketbows canon and is also the most direct. Leaning further toward a streamlined (yet still psychedelic and progressive) sound, "LID" jettisons the long instrumental jams of the first two albums in favor of concise, well built and heartfelt songs. 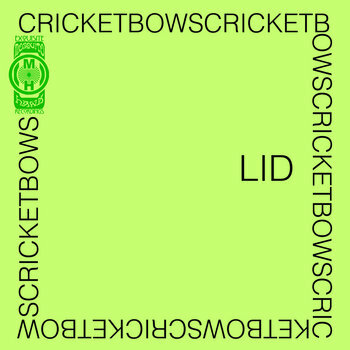 A svelte, 8 tracks with only one (very rocking) instrumental track, "LID" is Cricketbows helmsman Rev. Chad Wells flexing his songwriter's muscles. As a trilogy, "hOMe" was the come on, the first waves after ingesting the spore and "Mycocosmic Transmission" was the peak of the trip and it's psychological secrets unlocking themselves. "LID" is the come down. Days, weeks and months after the earth shattering psychedelic experience where hindsight and a clearer head prevail to draw audible pictures for the listener to try to make heads or tails of what the whole psychonautical journey was about. 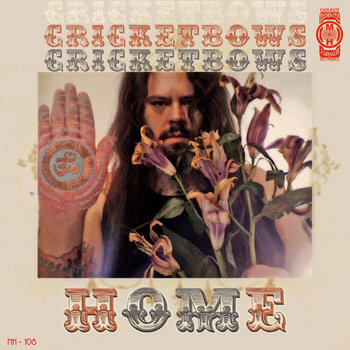 This third album finds Wells once again steering the ship, writing and performing nearly every sound with a little help from fellow Ohioan, Andy Gabbard of Buffalo Killers who, on three of the albums tracks, adds backing vocals, some guitars and a pedal steel-esque lead guitar track that summons the rural spirit of Neil Young and Marc Ford era Black Crowes somehow simultaneously. 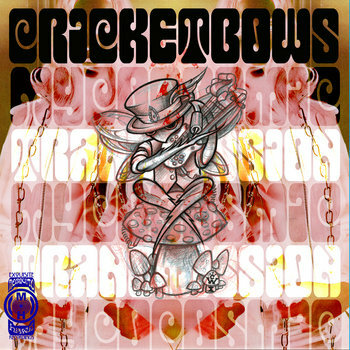 The album's title, "LID" has many meanings, from the obvious 60's weed reference to that part of one's being that gets "flipped" by a psychedelic experience to it being the closing of this first Cricketbows trilogy. The album art pays homage to what Wells states is the most personally influential record in his personal collection - the soundtrack to The Monkees and Jack Nicholson's cult classic freak out film "HEAD". As a very astute observer of the psychedelic human condition once said, "Buy the ticket, take the ride".